There are many that claim to be Magento hosting providers but fact of the matter is that they aren’t really cut out to be one. The wide discrepancy between what they claim and what they really offer is probably one of the biggest ironies of this industry. In the midst of this uncertainty we’ve narrowed down our choice to Cloudways, a managed Magento hosting provider that manages all server-related issues. Developing a Magento store and maintaining it means that you already have enough on your plate. Delayed response time or even a serious problem with the server affecting the operations of your store is the last thing you want. While you’re solving the problem, you are burning money and losing business. Now imagine a scenario where you don’t have to spend resources to retain a system administrator and you still get someone to manage the risks of downtime with minimum server-related hassles. Cloudways offers managed Magento hosting with optimized servers that are monitored professionally by the Cloudways team. This means that while you keep your focus on the priorities of your business, Cloudways takes care of your servers. 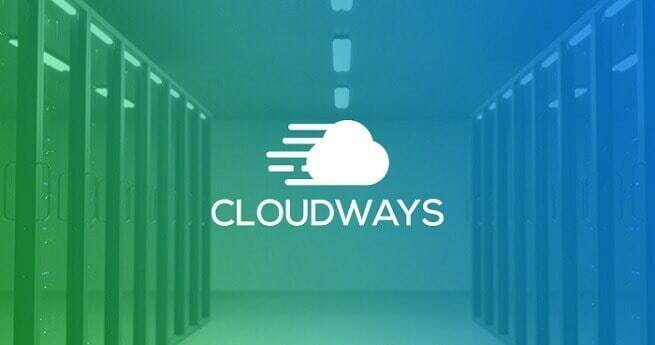 Fastest page load times, effective monitoring of servers and applications and easy deployment are just some of the perks of hosting with Cloudways. Cloudways offers a range of well-known cloud infrastructure providers including Google, Amazon Web Server, DigitalOcean, Kyup, Linode and Vultr. Here are some of the most prominent features of Cloudways managed Magento hosting. CloudwaysCDN fulfills the needs of a business by widening the reach of your Magento store and improving the user experience. With Cloudways you are able to build better websites and improve the performance without having to pay too much- CloudwaysCDN merely costs a dollar per month. As a result, you get faster load times of your website as CloudwaysCDN caches all static content and serves them from the closest server. Additionally, you don’t have to worry about separate billing for CDN. Cloudways users can pay for all the related charges in a single invoice. Team collaboration is one of the key aspects of development. You have to manage and collaborate with different stakeholders and different Magento applications at the same time. To solve this problem, Cloudways offers its Team Collaboration feature that lets you create separate login credentials for both servers and applications. You can create different credentials that can be shared with your development team or your clients or anyone associated with the project, without having to compromise your master credentials. All you have to do is assign these team members specific applications/servers with access to only specific things. To spice it up, Cloudways extends this feature by incorporating the option of creating Projects. You can use the Projects feature to further segment and classify specific projects and assign them to your specific team members. With Cloudways you have the ability to easily deploy and install (unlimited) applications on a single server. With just a few clicks, you can deploy your Magento applications and get started with the optimization. When you’re done installing, Cloudways lets you monitor all the server related issues from its user-friendly platform. You can make all the modifications and tweaks in just a few clicks on the Cloudways platform. Additionally, if you are a development agency, you don’t have to fret over the billing of the server after you’ve handed it over to the client. With Cloudways, you can transfer complete control over to the client once you’ve done your part. One of the biggest advantages of hosting with Cloudways is that you have the ability to easily manage multiple applications by creating unlimited staging areas. You can create clones of multiple applications for free and do all the testings you want. This means that you don’t have to mess with the live website and make all the changes on the dev website until you’re fully satisfied. Once you’re done, you can point your live domain to it. All in all, Cloudways offers fully managed cloud hosting services, allowing its clients to keep their focus on what really matters – their online business.